The acclaimed international bestseller now a MAJOR MOTION PICTURE starring Constance Wu, Henry Golding, Michelle Yeoh and Gemma Chan!When Rachel Chu agrees to spend the summer in Singapore with her boyfriend, Nicholas Young, she envisions a humble family home and time with the man she might one day marry. What she doesn't know is that Nick's family home happens to look like a palace, that she'll ride in more private planes than cars and that she is about to encounter the strangest, craziest group of people in existence. 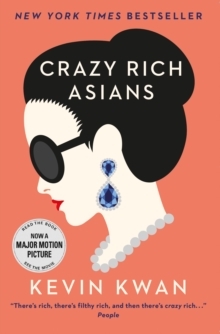 Uproarious, addictive, and filled with jaw-dropping opulence, Crazy Rich Asians is an insider's look at the Asian jet set; a perfect depiction of the clash between old money and new money - and a fabulous novel about what it means to be young, in love, and gloriously, crazily rich.